With sales standing at 3 million consoles the Wii U has an audience hungry for new games, but since the machine’s November release new games have been few and far between. 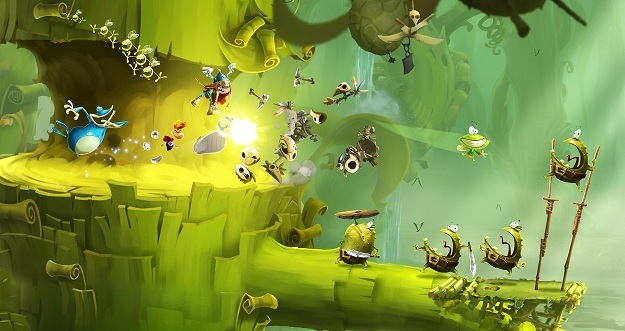 The end of February was going to bring sweet relief in the form Ubisoft’s Rayman Legends, one of the more promising Wii U originals that debuted at E3 2012. Unfortunately though, Ubisoft broke the bad news yesterday that Rayman Legends would be delayed yet again, this time until Fall 2013. The announcement was specifically a blow to Nintendo players, as Ubisoft also confirmed that Rayman Legends for Wii U is all but complete. It pushed the game back so it could release alongside ports to Xbox 360 and PlayStation 3, making its platformer yet another Wii U exclusive to jump ship. Publishers want their games on as many platforms as possible to maximize the return on their investment, so Sardin’s comments hold true. That said, Wii U game sales are dire. Market analysts peg the Wii U attach rate (the number of games sold with a console) in the United States at just 1.2 games per console. Unconfirmed reports on January game sales in the UK say just 34,000 Wii U games were sold including NintendLand packed in with the Deluxe Set. Rayman simply isn’t a brand that can thrive under those conditions. When Rayman Origins released in 2011, it was available on Wii, PC, Xbox 360, and PlayStation 3. It still sold just 50,000 copies in its first month in the US and it failed. It never even broke into the top 35 best-sellers list in the UK. Tecmo Koei also announced that Ninja Gaiden 3: Razor’s Edge, another Wii U exclusive, will make the jump to PlayStation 3 and Xbox 360 this spring. VGChartz’s sources indicate that the game’s sold just 200,000 copies since releasing alongside Wii U in November.